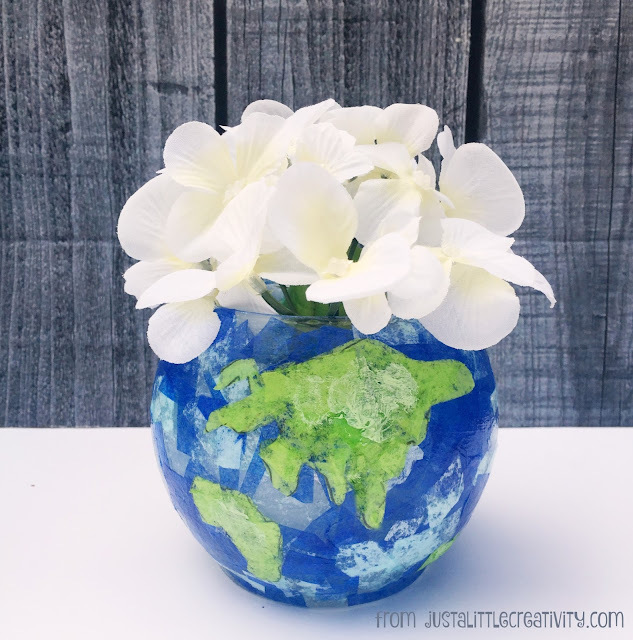 This Friday, April 22, 2016 is Earth Day! 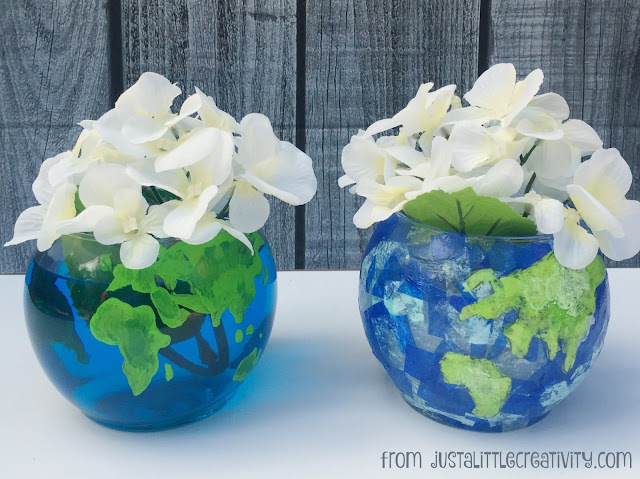 If you're looking for a fun project that you or your kiddos can make, these DIY world globe vases can be made two different ways depending on your skill level. 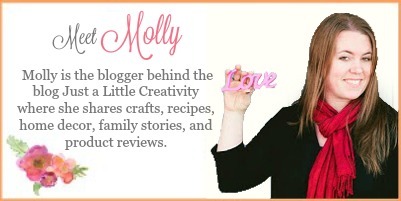 Hey readers, it's Molly from Just a Little Creativity. 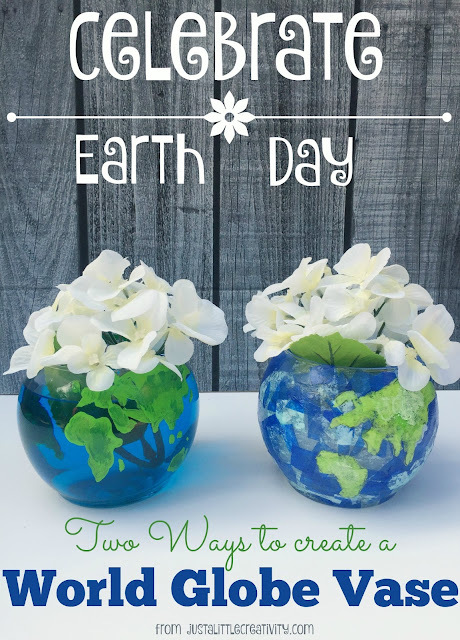 I'm back this month with an Earth Day project you have plenty of time to make. I really enjoy sharing projects for kids, but I know that sometimes the grown-ups want fun projects too. So, that's what I have for you this month, a double tutorial- one for easy and one for advanced. Most of us made these tissue paper vases at some point when we were little and had tons of fun doing it. 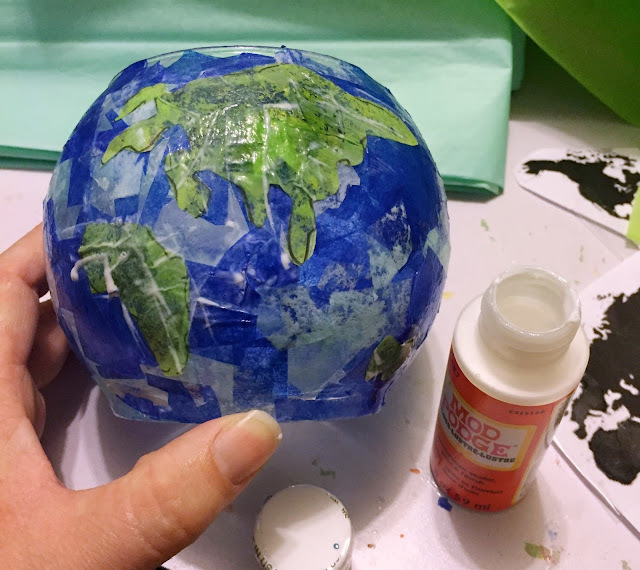 With the right color tissue paper, your little one can make theirs into a globe! First, cut or tear your blue tissue paper into small pieces. 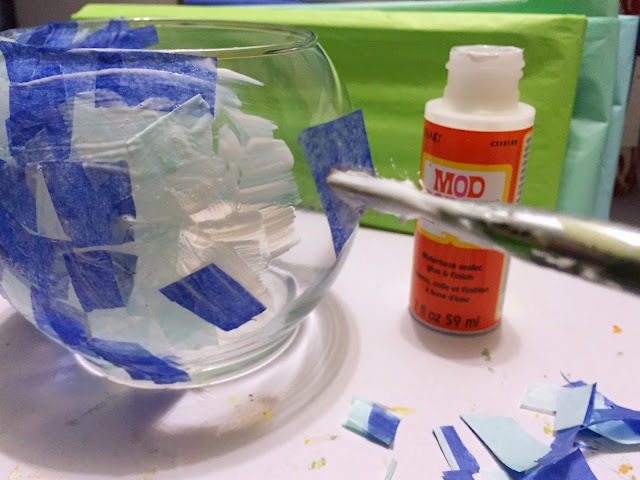 Apply Mod Podge or glue liberally to the glass. Add tissue paper with your fingers or pick up with the sticky paint brush. 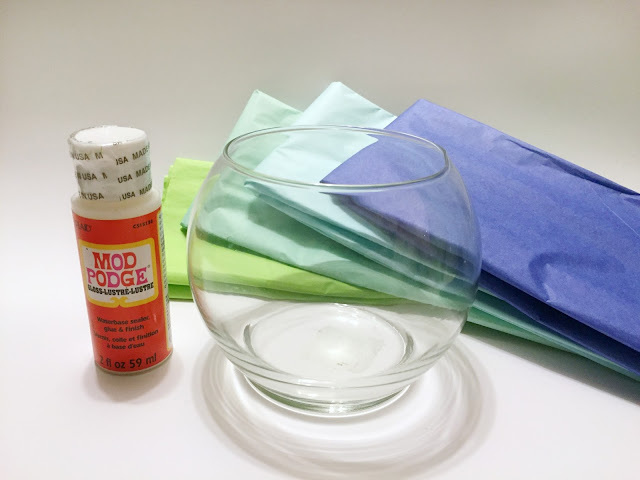 Brush more glue over the tissue paper to seal it well onto the vase. Don't worry, it will dry clear. 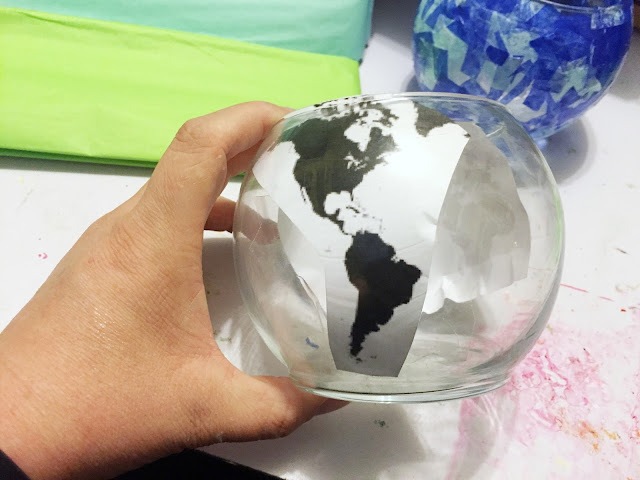 This is the water portion of your world globe. 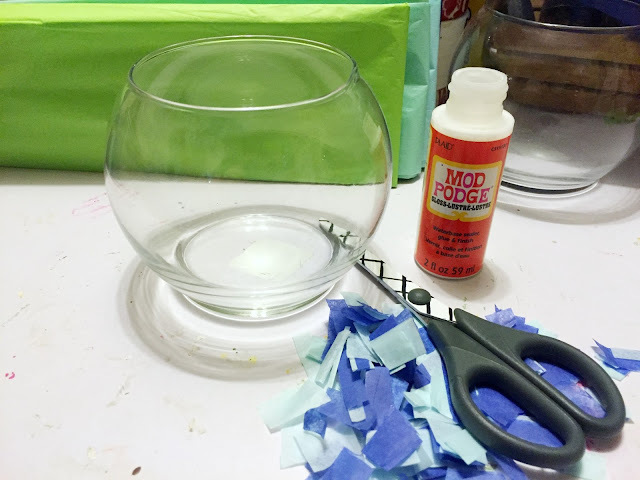 Let that layer become mostly dry, and and apply your green for the land portion of your vase. 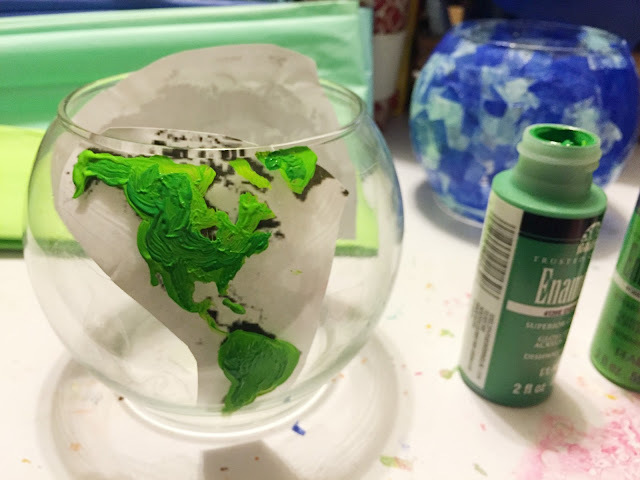 I traced the approximate shapes of the continents, but your little one doesn't necessarily need to do this. 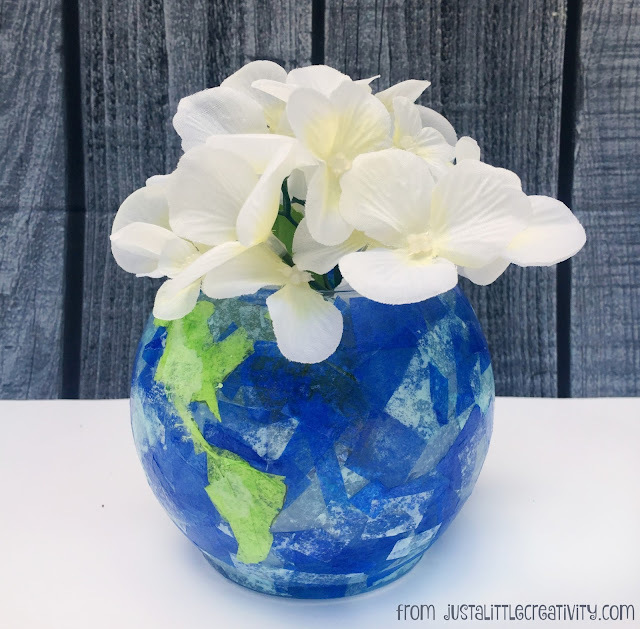 Just show them where to place the green (even sketch the continents onto the vase with a marker if you want) and let them glue the green for land in a similar mosaic style as the blue. 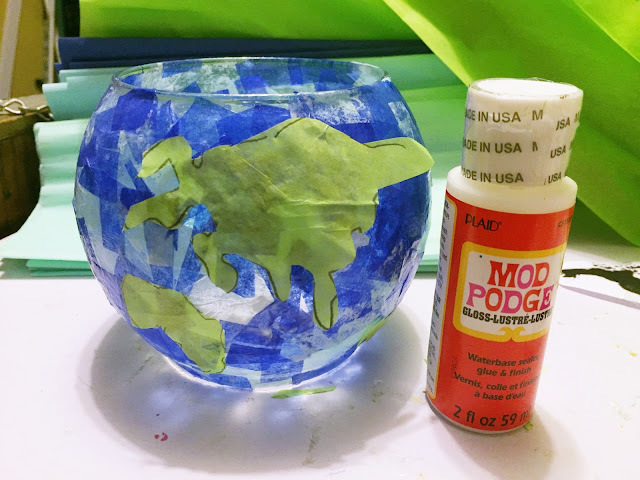 When it's dry (which is usually in just a few hours) your little one will be so proud of their mosaic world globe vase! This option requires a more steady hand than most kids have, so I recommend this for teenagers and older. 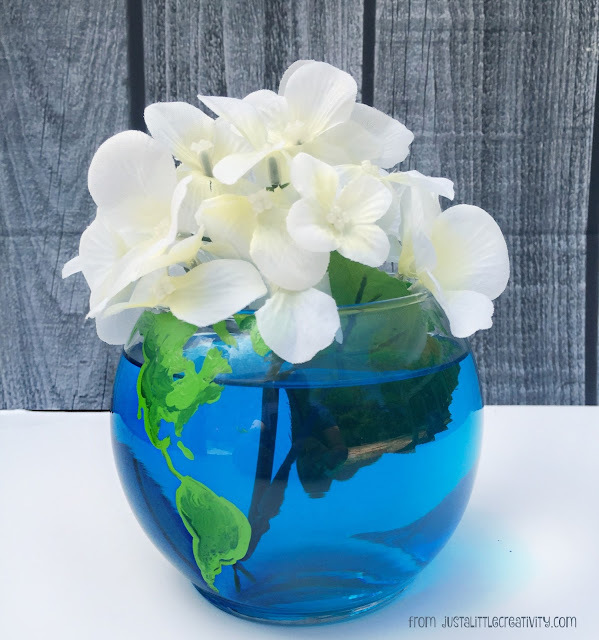 First, print your map, cut it out, and tape it inside the vase so you have an outline. 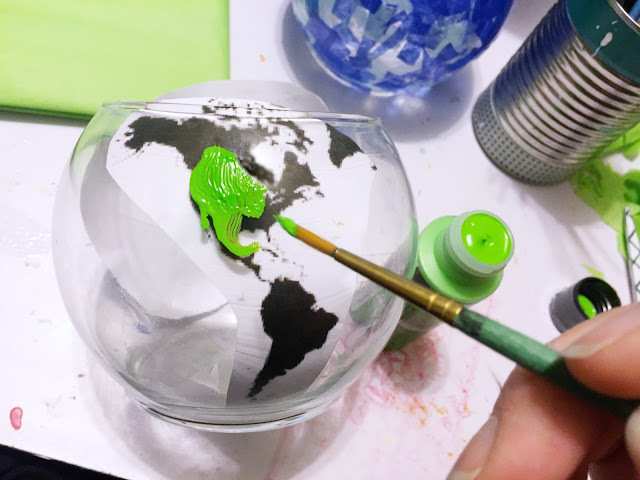 Then, starting with the lighter of the two shades of green, simply paint the outline of your continents. For added depth and dimension, add your darker shade of green and mix the colors a bit. 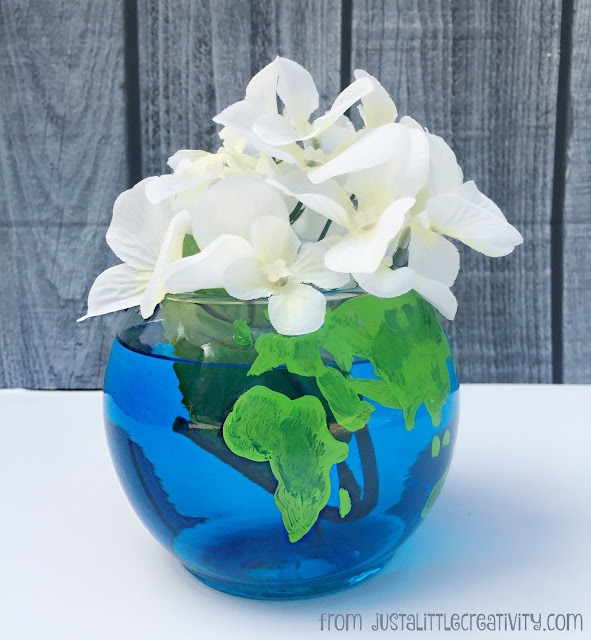 Once the glass paint is dry, add water to your vase and a drop of blue food coloring! 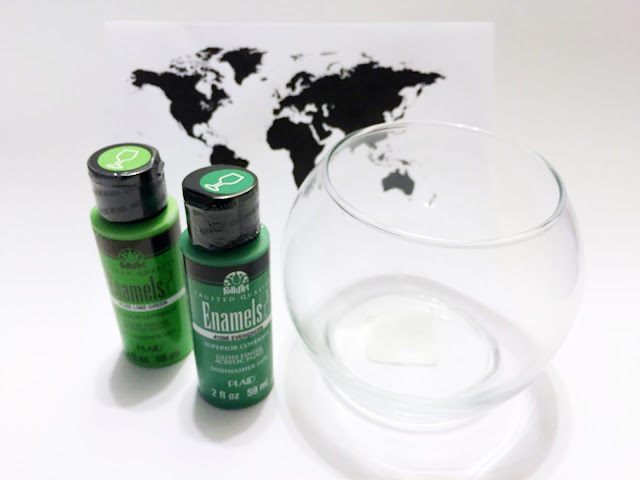 Now you have crystal clear blue water that makes your green land pop. The pair of globes together look adorable. I'm not even sure which is my favorite because I love them both, how about you?